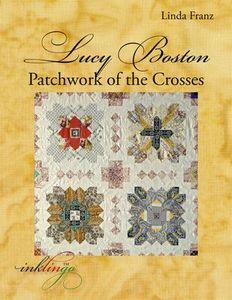 This best-selling book about Lucy Boston's lovely 1960's patchwork (88" x 99") is not just for quilters who use English Paper Piecing! It was prepared with the gracious assistance of Diana Boston and is illustrated with photographs by Julia Hedgecoe, including a centerfold of the whole quilt. It inspires quilters to look at fabric in a new way for fussy cutting and includes instructions for sewing the patchwork by hand or by machine, with or without the optional Inklingo shapes.